Summer is nearly officially here, and it’s time to kick back, relax, and enjoy all the comforts of home. 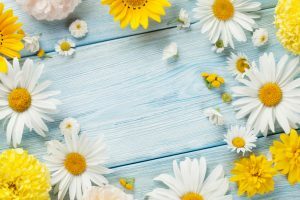 Get your home ready for the season with these quick and easy decorating tips for your interior and exterior. 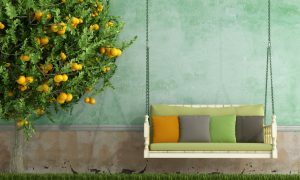 Decorating for the summer might be as simple adding a few new throw pillows here and there, or this might be the year you finally decide to build that new deck. For all of your Delaware home renovation needs, you can turn to Montchanin Builders. Summer is the perfect opportunity to bring the outdoors inside. For a modern look, combine clean lines and neutral colors with startlingly bright pops of color. For instance, place a glass bowl of bright cherries or oranges on a white table or countertop. Add a shiny new pots and pans rack over the island or near the stove, and furnish it with some brightly polished copper pans. If you have some spare, open shelf space, arrange brightly colored candles in shades of orange, yellow, and beige. Finish the display with a vase or two. 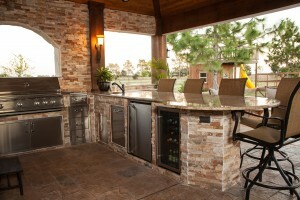 You can also declutter your kitchen and decorate it with a charming, rustic look simultaneously. Purchase some mason jars with chalkboard labels and fill them with brown and red lentils, rice, quinoa, and similar pantry staples. Write in the appropriate label and line them up on a display shelf. The dining room often gets short shrift during home renovations and redesigns. However, this room offers a great opportunity to give your home that “pulled together” look that complements the rest of the house. If your budget allows room for a new table and chair set, consider choosing something that looks laid-back and relaxed for that perfect summer vibe. Top the table with a floral or fruit arrangement, along with elegant, matching candlesticks. Add fresh, flowing curtains in refreshing colors, like sea foam green or baby blue. Skip the traditional dining room wall art of fruit and flower arrangements, and instead consider something three-dimensional. Hang a handful of empty picture frames on a wall and pin some faux sunflowers and herbs inside them. Nothing says summer quite like outdoor living. 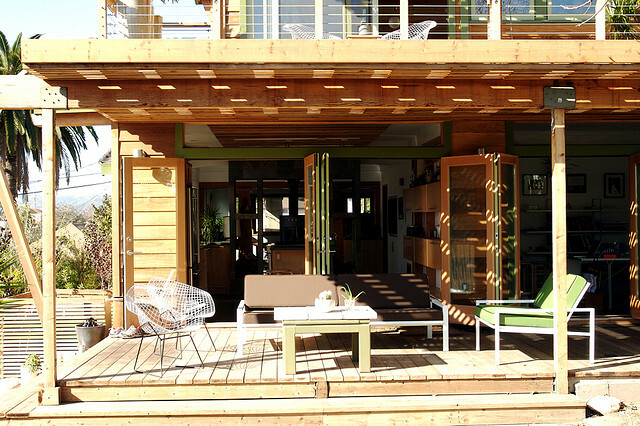 If your home doesn’t yet have a deck, there’s still time to get one built before summer ends. Once it’s finished, decorate it with comfortable and natural-looking outdoor furniture. Add planter boxes with foliage, strings of outdoor lights, and an awning or several large beach umbrellas to give your guests some shade. Montchanin Builders has developed a stellar reputation as an award-winning home designer and builder in the Wilmington, DE area. Our move-in ready homes combine the flexible living spaces families need with the luxurious touches they crave, but building homes and masterfully planned communities isn’t all we do. Our team of master craftsmen also performs picture perfect home renovations suitable for any creative preferences and budget. 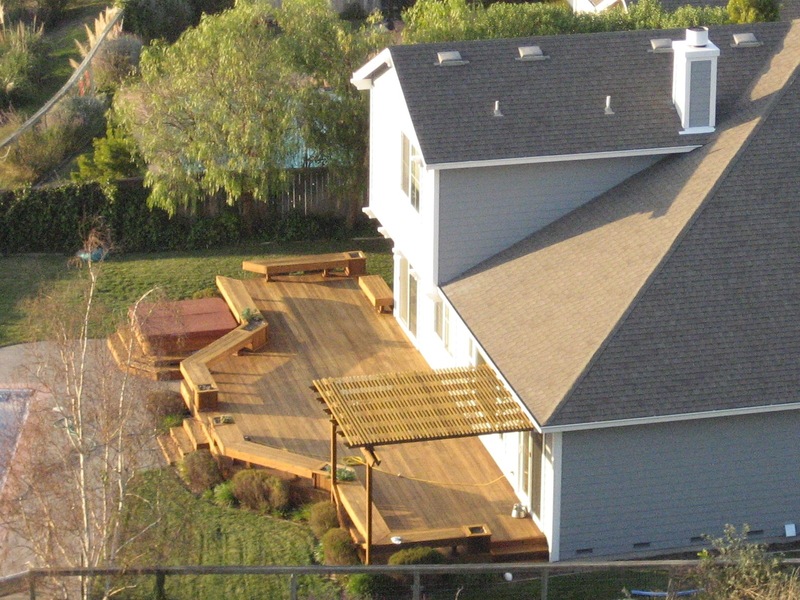 For new decks, garage renovations, home additions, and more, contact Montchanin Builders today!